tori was in town this past weekend to tend to wedding activities (it’s only nine days away – eek! ), and like always, she had plenty of things to bring to atlanta from home. for clark, she brought his winter clothes. for the kessey girl, she brought me a recipe. ah, yes, she knows me so well! 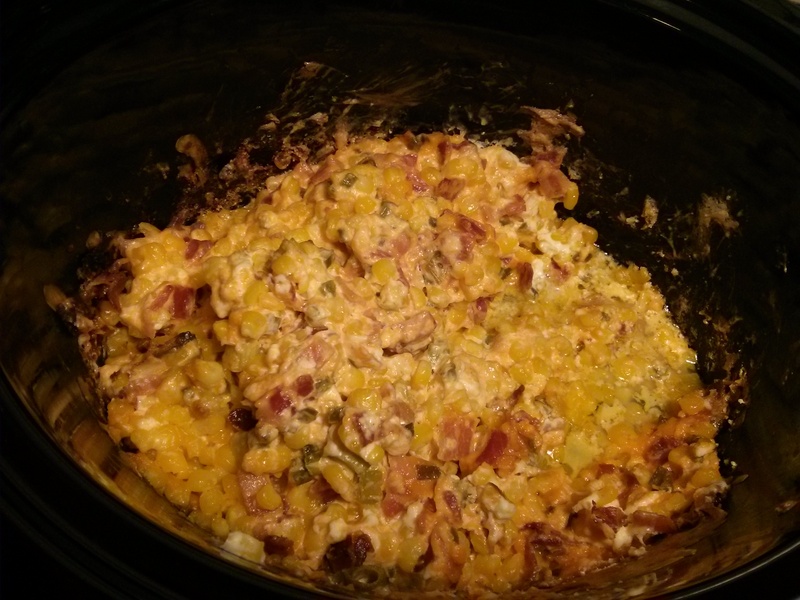 this zesty corn dip really couldn’t be easier. well, i suppose the only way it could be easier is if you didn’t have to do any chopping, but even for the most novice cook, you got it! place all ingredients in a crock-pot/slow cooker. cover and cook on low for 4 hours OR on high for 2 hours, stirring the dip halfway through cooking time.